Draft: 2006, New York Mets, 4th rd. John Stephen Holdzkom...Is a 2005 graduate of Rancho Cucamonga (CA) High School...Played collegiate ball at Salt Lake Community College...Went 1-1 in two appearances (one start) in the 2012 World Baseball Classic qualifiers for New Zealand (father was born there)...Has participated in the Pirates caravan and PirateFest events the past two Decembers. Spent majority of injury-plagued season with Triple-A Indianapolis...Picked up first save in second outing on 4/12 vs. Columbus...Walked five batters and struck out a total of six in back-to-back appearances on 4/20 and 4/23...Pitched a scoreless frame and recorded first win on 4/29 vs. Louisville...Picked up second and final save on 5/7 vs. Rochester...Was placed on the Triple-A disabled list on 5/11 due to shoulder fatigue...Was reinstated on 6/9 and struck out each of the three batters he faced that night at Rochester...Won his second decision on 6/16 vs. Durham...Was placed on the 7-Day D.L. with a right shoulder strain on 7/1 (retro to 6/29)... Made two rehab appearances with West Virginia in the New York-Penn League on 7/23 and 7/25...Was reinstated from disabled list on 7/28 and made one final appearance on 7/29 before returning to the D.L. for the remainder of the season with a shoulder strain on 8/1 (retro to 7/30). Began season pitching with Amarillo of the independent American Association...Also pitched in one game with San Angelo of the independent United League...Was signed by Pittsburgh as a minor league free agent on 6/23 and was assigned to Double-A Altoona...Made his Curve debut on 6/25 and tossed 2.0 scoreless innings of relief...Pitched 2.0 scoreless frames on 7/3 at Bowie and picked up his only win with Altoona...Was promoted to Indianapolis on 7/5...Tossed 1.0 scoreless inning of relief and won his Triple-A debut on 7/8 vs. Lehigh Valley...Made second appearance on 7/10 vs. Columbus (game two) and tossed 3.0 scoreless innings of relief while notching his second straight victory...Recorded first save with the Indians on 8/12 at Toledo...Was charged with an earned run in just four of his 18 Triple-A appearances and struck out at least one batter in 20 of his 22 combined outings between Altoona and Indianapolis...Went 3-0 with two saves and a 1.95 ERA (27.2ip/6er) and 37 strikeouts in his 22 games in Pittsburgh minor league system...Was selected by Pittsburgh on 8/31 and optioned to Indianapolis...Was recalled by Pittsburgh on 9/2. Spent entire season in the American Association and went 3-4 with two saves and a 2.89 ERA (43.2ip/14er) in 42 combined relief appearances between Sioux City and Amarillo. Was signed by Cincinnati as a minor league free agent on 1/5...Made five of his six appearances in relief...Allowed one unearned run in 3.0 innings while making his lone start on 4/17 at Visalia. Began season recovering from right elbow injury...Made one rehab appearance with the Gulf Coast League Mets before being joining Kingsport (Mets' Rookie) for five games. Missed first half of the season due to a club-imposed suspension...Missed from 7/23 - to the end of season with right elbow injury, which carried into the 2010 campaign. Established season career highs in starts (12), innings pitched (86.2) and strikeouts (100)...Went 5-4 with a 4.88 ERA in 28 combined games (12 starts) between Savannah (Mets' Class-A) and Kingsport (Mets' Rookie)...Made his first 15 appearances with the Sand Gnats pitching out of the bullpen...Suffered the loss on 4/22 before winning his next two decisions...Was moved to Kingsport on 6/16...Suffered loss while making his first appearance in relief on 6/17 vs. Greeneville...Went 3-0 while making his final seven outings as a starter...Returned to Savannah on 7/30 and went 0-2 while making five starts. Began season with the GCL Mets before being promoted to Kingsport...Earned the win in his Kingsport debut on 8/18, pitching 2.0 scoreless innings of relief. Made professional debut with the Gulf Coast League Mets on 6/23 and allowed two runs in 2.1 innings of relief...Snapped a four-game losing streak to start his professional career with a victory on 7/31 against GCL Marlins. November 7, 2016 RHP John Holdzkom elected free agency. September 6, 2016 Charlotte Knights activated RHP John Holdzkom. July 2, 2016 Charlotte Knights sent RHP John Holdzkom on a rehab assignment to AZL White Sox. April 19, 2016 John Holdzkom assigned to Charlotte Knights. April 18, 2016 Chicago White Sox signed free agent RHP John Holdzkom to a minor league contract. April 11, 2016 Pittsburgh Pirates released RHP John Holdzkom. 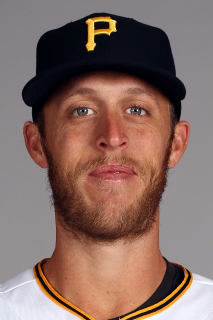 April 3, 2016 Pittsburgh Pirates designated RHP John Holdzkom for assignment. March 18, 2016 Pittsburgh Pirates optioned RHP John Holdzkom to Indianapolis Indians. October 8, 2015 John Holdzkom roster status changed by Pittsburgh Pirates. October 5, 2015 Pittsburgh Pirates recalled RHP John Holdzkom from Indianapolis Indians. September 24, 2015 Indianapolis Indians activated RHP John Holdzkom from the 7-day disabled list. July 30, 2015 Indianapolis Indians placed RHP John Holdzkom on the 7-day disabled list. July 28, 2015 Indianapolis Indians activated RHP John Holdzkom from the 7-day disabled list. July 23, 2015 Indianapolis Indians sent RHP John Holdzkom on a rehab assignment to West Virginia Black Bears. June 9, 2015 Indianapolis Indians activated RHP John Holdzkom from the 7-day disabled list. May 8, 2015 Indianapolis Indians placed RHP John Holdzkom on the 7-day disabled list. March 31, 2015 Pittsburgh Pirates optioned RHP John Holdzkom to Indianapolis Indians. September 2, 2014 Pittsburgh Pirates recalled John Holdzkom from Indianapolis Indians. September 1, 2014 Pittsburgh Pirates optioned RHP John Holdzkom to Indianapolis Indians. August 31, 2014 Pittsburgh Pirates selected the contract of RHP John Holdzkom from Indianapolis Indians. July 5, 2014 RHP John Holdzkom assigned to Indianapolis Indians from Altoona Curve. June 25, 2014 RHP John Holdzkom assigned to Altoona Curve. June 24, 2014 Pittsburgh Pirates signed free agent RHP John Holdzkom to a minor league contract. June 21, 2012 Bakersfield Blaze released RHP John Holdzkom. June 14, 2012 RHP John Holdzkom assigned to Bakersfield Blaze from Billings Mustangs. May 1, 2012 John Holdzkom assigned to Billings Mustangs from Bakersfield Blaze. April 1, 2012 John Holdzkom assigned to Bakersfield Blaze. January 5, 2012 Cincinnati Reds signed free agent RHP John Holdzkom to a minor league contract. March 24, 2011 Savannah Sand Gnats released RHP John Holdzkom. June 27, 2010 GCL Mets sent RHP John Holdzkom on a rehab assignment to Kingsport Mets. June 23, 2010 sent RHP John Holdzkom on a rehab assignment to GCL Mets. April 8, 2010 RHP John Holdzkom assigned to Savannah Sand Gnats. April 6, 2010 John Holdzkom roster status changed by Savannah Sand Gnats. October 15, 2009 John Holdzkom assigned to Savannah Sand Gnats. June 17, 2009 John Holdzkom roster status changed by Kingsport Mets.